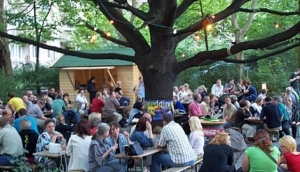 Spring and summer are a fabulous time to be in Berlin and on a sunny day, there is nothing better than relaxing in one of Berlin’s fantastic beer gardens with friends, a cold beer, a snack and watching the day go by. Beer gardens are located all over the city, some you may walk past without even knowing they’re there! That is where My Destination Berlin can help you. Check out our comprehensive list of beer gardens and their seasonal opening hours, get yourself to a bench seat in the sun and relax with a glass of tasty local or international beer.